"Your new home awaits you here"
Nowhere else in the Virgin Islands are you going to find a real estate agent who provides more exceptional personal service for her valued customers and clients. The U.S. Virgin Islands have year-round tropical weather, sandy beaches, and stunning scenery. It is the ideal place to begin a new life. Let me help you find your place in the sun, here in the US Virgin Islands. 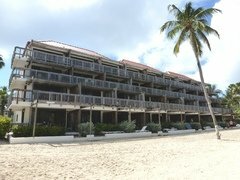 I invite you to browse through this site to explore property for sale in St. Thomas, US Virgin Islands and surrounding areas. 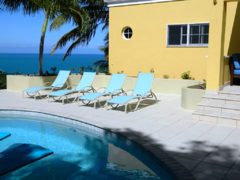 This comprehensive site offers direct access to the latest properties for sale in St. Thomas. My Favorite Links will direct you to community, tourism, business and government websites that have comprehensive information about starting a business in the US Virgin Islands as well as recreational activities, relocation information and more. Check out my buyer resources, seller resources, community information, school information and the VI real estate guide where you will find answers to commonly asked real estate questions. 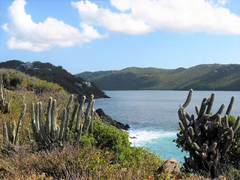 You will also find information about some of the best beaches in the US Virgin Islands. 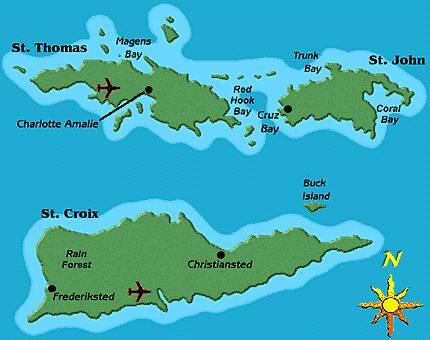 Come visit our beautiful islands and discover your favorite beach. Everyone's got one. Hop on a plane or come by sea. Explore our magical islands and pristine beaches and find your favorite place in the sun.